The V Tactical Scope is a compact 4x zoom scope with an etched glass reticle that has a 20 moa circle plus 3 moa dot that is specifically designed for airsoft use. 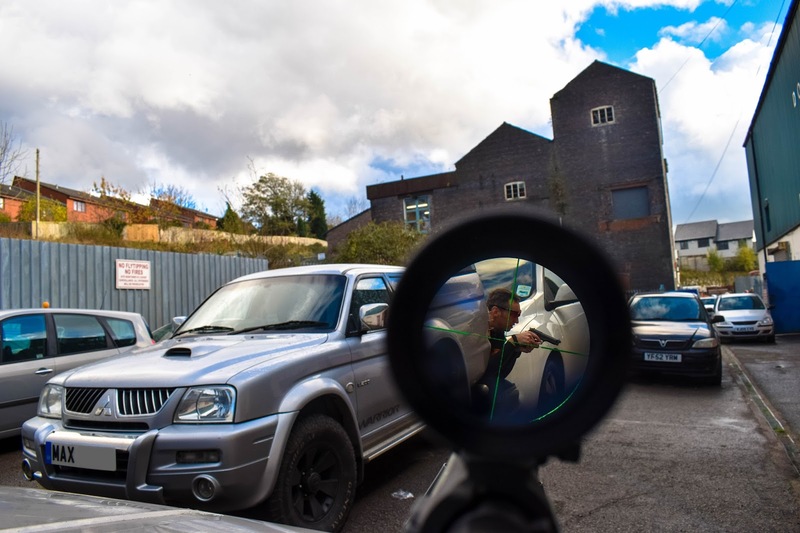 It has two colour illumination - red and green for a better contrast in low light conditions as well as a high-quality lens to give the user a crystal clear view picture of his/her targets. 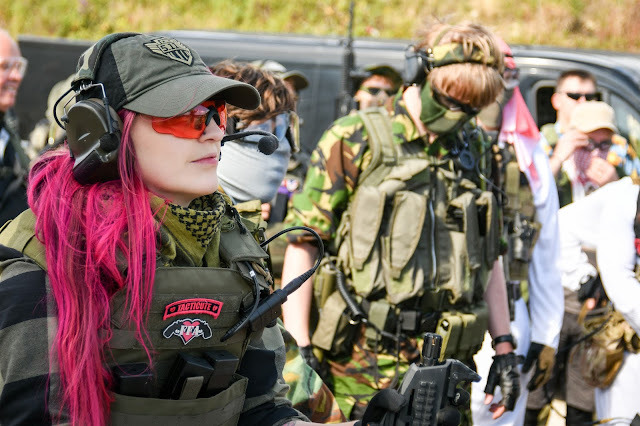 Along with these features that promote clarity of vision, the sight is built to last - it has a 1-inch one-piece body tube that is waterproof, fog proof (as it is Nitrogen-filled and O-ring sealed) and shockproof - meaning it is perfect to withstand the stress of an airsoft skirmish! The scope comes packaged with a one piece offset scope mount and it is powered by a standard CR2032 battery that is also included in the box. It also comes with a yellow tinted lens cover which serves a couple of purposes - it helps alleviate glare on bright game days, giving you a clearer sight picture and also, brightens surroundings in low light. 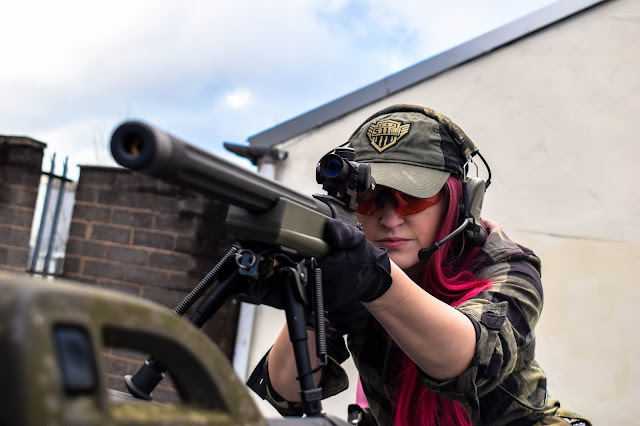 For my product review tests, I put the V Tactical Scope on the Ares Amoeba Striker sniper rifle with a standard barrel. 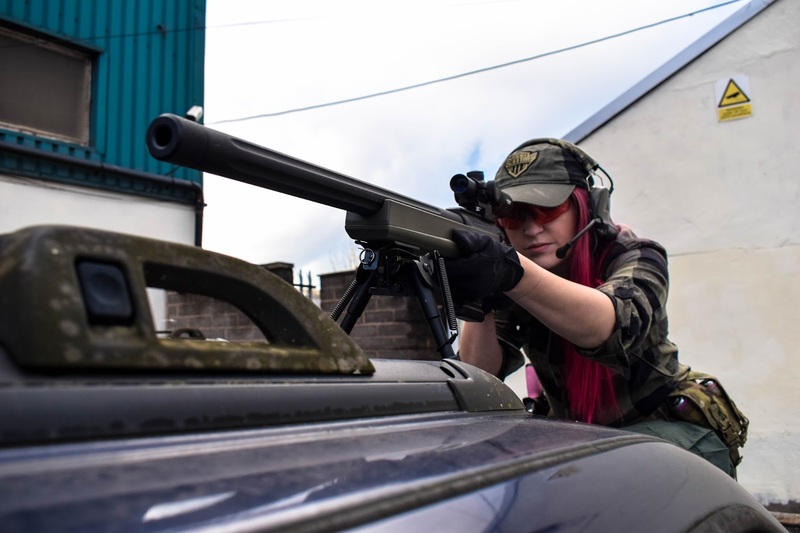 As the sight is really compact and lightweight, with its full length measuring in at just 9.5 inches, it is a great scope option lighter sniper rifle set-ups and also for shorter sniper rifles and DMR but as you can see it doesn't look out of place on a standard sniper rifle. As a complete sniper rifle/scope newbie (I've shot an airsoft sniper rifle maybe 4 times in my 3 years in airsoft) when I got this out of the box, I actually put the scope on the rifle backwards and the internet gave me a good ol' roasting for it - embarrassing, but I didn't know any better and no one is an expert in everything. After this little hiccup, I called in some of my sniper friends and did a little crash course of sniper rifles and scopes. I learned how to properly zero the scope in, when you would use each illumination setting (i.e green is better for low light use) and got to give it a good range test. After giving this scope a thorough testing, I found it is perfect for airsofters who want a no-fuss scope, as (once it's on the right way lol) it's easy to set up, operate and mount. One thing I really liked about it, is as it is so compact it doesn't add a lot of weight to the rifle either so running it on a sniper rifle for extended MilSim games wouldn't be too much of an issue. The scope also boasts 4.5-5 inches of extra-long eye relief so it is comfy to use for an all-day skirmish as well. 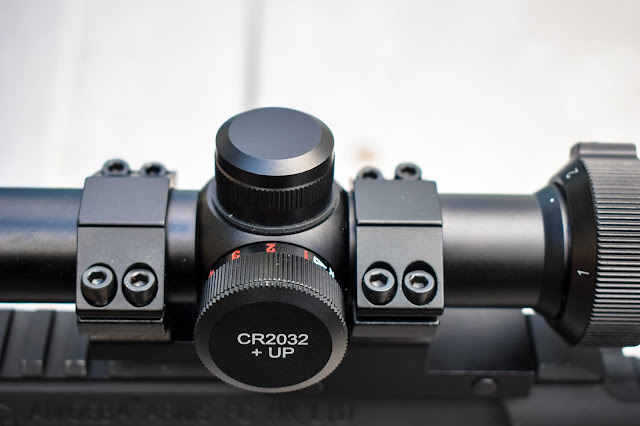 It is really easy to attach and set up - just undo the screws and mount it onto your rail system and adjust the elevation and windage screws accordingly. One aspect that I really like about this scope, in particular, is that you don't need any tools to adjust them - it can all be done by hand, which is super handy if you need to readjust it quickly on the field. 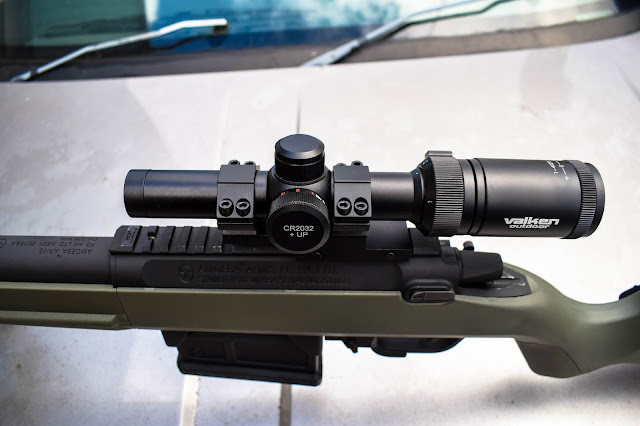 The scope retails for $79.95 (which is around £60 at the current exchange rate) and is available from the Valken website.